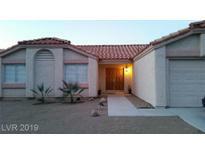 Below you can view all the homes for sale in the Sandalwood subdivision located in Henderson Nevada. 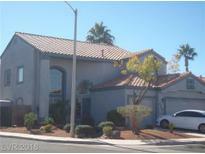 Listings in Sandalwood are updated daily from data we receive from the Las Vegas multiple listing service. To learn more about any of these homes or to receive custom notifications when a new property is listed for sale in Sandalwood, give us a call at 702-323-5903. Many upgrades completed in 2017 include RO system, Refrigerator, stove, dishwasher, dining room window, sliding glass door, stainless steel sink, light fixtures, bathroom fixtures, and complete front & backyard landscape. You will love no HOA. MLS#2087213. Signature Real Estate Group. Large backyard is great for entertaining and this community comes with no HOA. MLS#2075832. BHHS Nevada Properties. 2 Covered Patios In Back Yard!3 Car Garage W/Epoxy Finished Floor.Do Not Miss This Gem!See For Yourself! MLS#2054397. Flat Fee Pros. Huge Backyard With Covered Patio! Rv Parking & More! MLS#2047670. General Realty Group Inc.